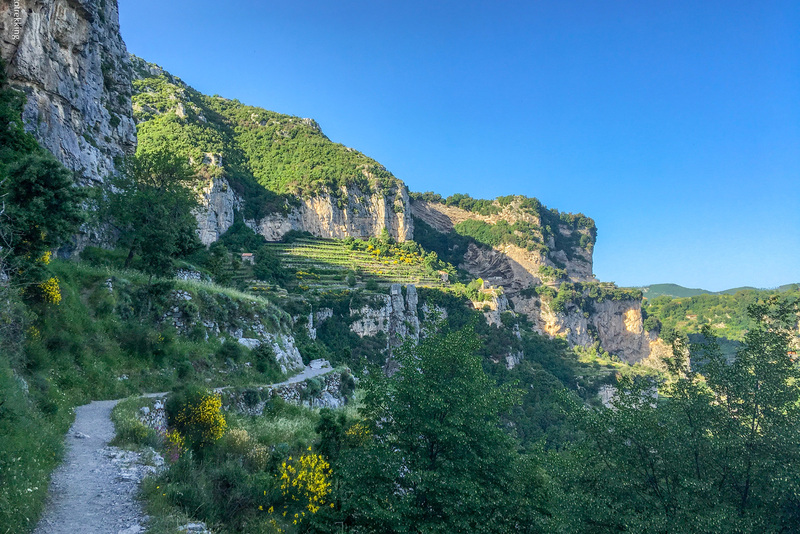 The Path of the Gods, the most beautiful path of Italy, walking in Amalfi Coast from Bomerano to Positano. The most beautiful path of Italy, visit Amalfi coast hiking from Agerola to Positano along the "Walk of the Gods". 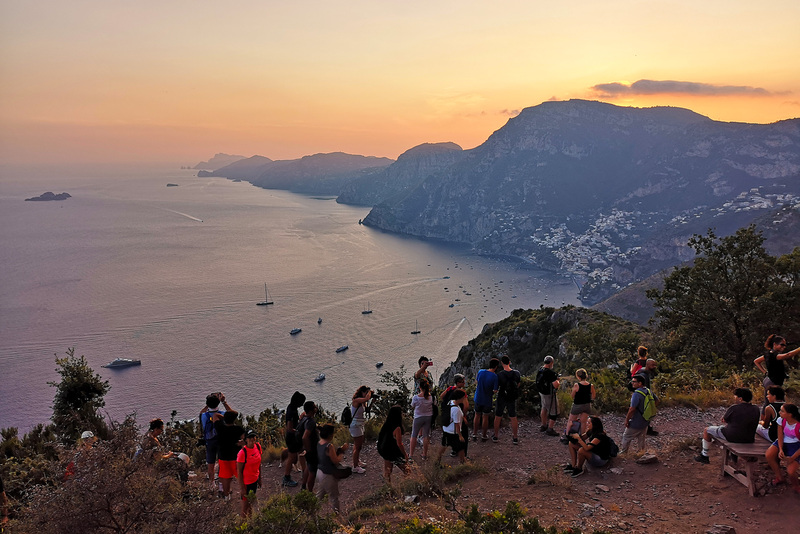 Hiking the Amalfi Coast from the top of its landscape. It was names the Path of the Gods not without reasons. It offers a fabulous view on coastal and mountain landscapes from Positano to Capri. Walking about 500m above the sea level between rocky passages, Mediterranean vegetation, forests of oaks and terraces made on steep slopes. In the city of Agerola follow the signs to Paolo Capasso square in the hamlet of Bomerano. In the square close to the Gentile hotel there are information boards of the Lattari Regional Park; nearby there is a secondary road, turn down this road following the first CAI signs (red and white) on pylons. Fell in the small gorge of the river Pennino, cross it along the wooden bridge and continue along the street until it ends in a small open space where the trail begins (Biscuit Cave). Reached Colle Serra (580m) as reported in the cartography there is a fork that later leads back to the main path (Li Cannati 560m); the only difference is that the low variant is more scenic. The path is about 6km long with a negative difference in altitude of 200m. 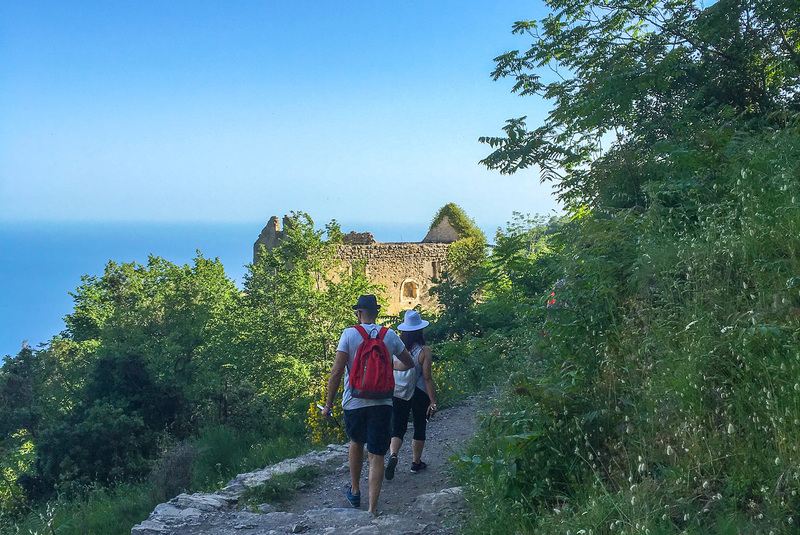 It takes about 3 hours walk along an easy path and overlooking the sea; paying attention to the signs will not encounter great difficulties to reach the town of Nocelle (420m). From here you can reach Positano by bus which leaves from the parking inside the town. It’s possible to keep walking , reaching the center of Positano with another hour and half of walk. From the square of the church of Nocelle take the stairs to go down to the main road, then continue on the right until the village center. Alternatively you can continue following the ceramic signs towards the village of Montepertuso (350m). After the church of Montepertuso continue along the main road for another 300m to go down to the left following the ceramic indications leading to the center of Positano. From Positano you can reach Amalfi with SITA bus, and from there also with SITA bus return to Agerola. Easy to reach with public transport, from both palces, Amalfi or Sorrento. Walking all the time overlooking the sea - very sunny, avoid in August! once you have arrived in Nocelle, consider taking the bus to Positano (avoid many steps). 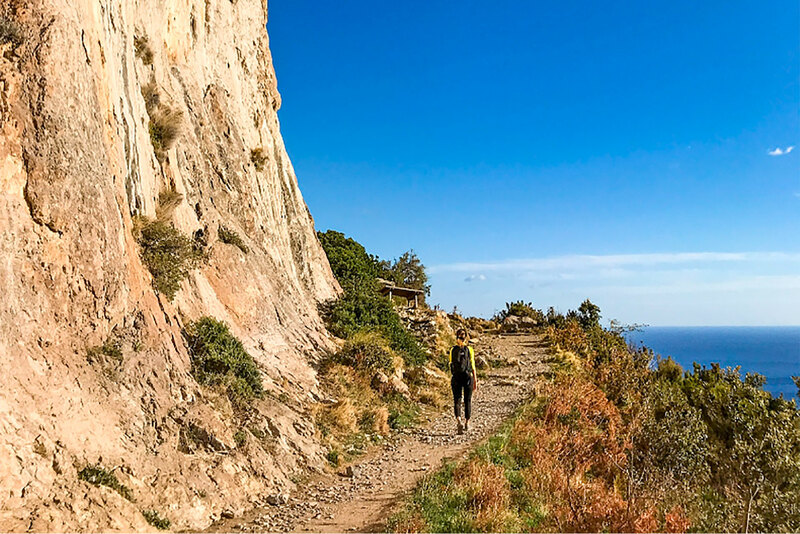 Before to start your hike, or decide to order/buy a full map of the trail, here you can download a single map of the hike from Agerola to Positano. You don't need guide or map, but you can easy upload and follow a track on your smartphone, rembemer to using it only under your responsibility!